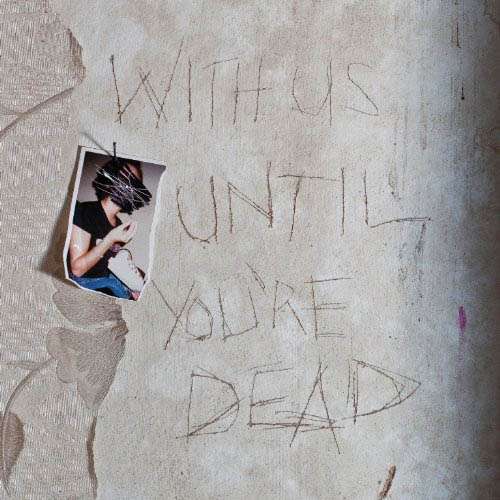 Der Artikel Archive: With Us Until You're Dead wurde in den Warenkorb gelegt. "Archive, das regelmäßig Mitglieder wechselnde Kollektiv um die beiden Kernfiguren Darius Keeler und Danny Griffiths ist mit neuen, großartigem Material zurück. "With Us Until You're Dead" wurde abermals von Jerome Devoise produziert und ist nun das achte Studioalbum in der insgesamt 16-jährigen Diskografie, die 1996 mit dem Debütalbum "Londinium" begann. Dabei bleiben die 12 neuen Songs dem typischen Sound aus Electronic, Trip Hop, Post Rock sowie Progressive Rock treu. Teils orchestral, teils elektronisch, teils schwermütig, teils progressiv, aber auf jeden Fall voller Emotionen begeistert "With Us Until You're Dead" von der ersten Sekunde an und erinnert dabei an Bands wie Massive Attack, Radiohead, Secret Machines oder Pink Floyd. "As a collective we've always written songs that focused on social and political issues but for this album I really wanted the songs to be more personal - love songs basically. But coming at the subject matter in that non-formatted Archive way. I grew up a massive Otis Redding fan and I wanted to bring some of that soulfulness to the songs, but at the same time to make them twisted and experimental." "
Archive are set to return with the epic and beautiful new album With Us Until You're Dead. Produced by longtime collaborator Jerome Devoise, the album will be released on the band's own Dangervisit Records. Part-orchestral, part-electronic, part-soulful, part-progressive and wholly emotion-soaked, the album is a cinematic and restlessly inventive landscape. Talking about the new album Darius said "We've always written songs that focused on social and political issues but for this album I really wanted the songs to be more personal - love songs basically. But coming at the subject matter in that non-formatted Archive way." "I grew up a massive Otis Redding fan and I wanted to bring some of that soulfulness to the songs, but at the same time to make them twisted and experimental." Diese Rezension bezieht sich auf "Archive:	With Us Until You're Dead (2LP + CD), 2 LPs, 1 CD". Vorab schon mal reingehört und voll begeistert. Archive zieht mal wieder alle Register und bringt das nächste Album raus. Klar war von vornherein, dass es Hammer wird, aber die Hörproben überteffen schon alle Erwartungen! Wieder einmal ein klasse Album. Werte sicherlich einen Live Act besuchen.